Half of the world’s stockpile of nuclear weapons is hidden under water, in the launch silos of nuclear submarines that are plowing 70% of the world’s surface. Only six countries: India, China, Britain, France, the USA and Russia are able to build objects of cosmic complexity – nuclear submarines. Dmitry Donskoy (TK-208) is a heavy missile submarine of strategic designation 941 “Akula” Project 941, the lead vessel of the series. She is the largest submarine in the world in active service. Length: 175 metres. Submerged displacement of 48,000 tonnes. The Yasen submarine (Project 885) is the most modern and most expensive Russian atomic multi-purpose submarine of the fourth generation. 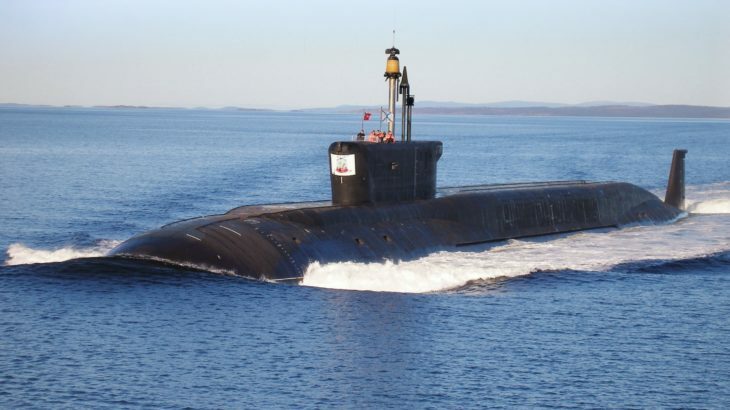 So far, only one submarine of this series has been launched into the water in 2015 – the Northern Fleet’s lead vessel Severodvinsk. Today, five more submarines of the project 885 are located on the Sevmash slipways: Kazan, Novosibirsk, Krasnoyarsk, Arkhangelsk and Perm. All of them will be built according to the advanced design – 885M. 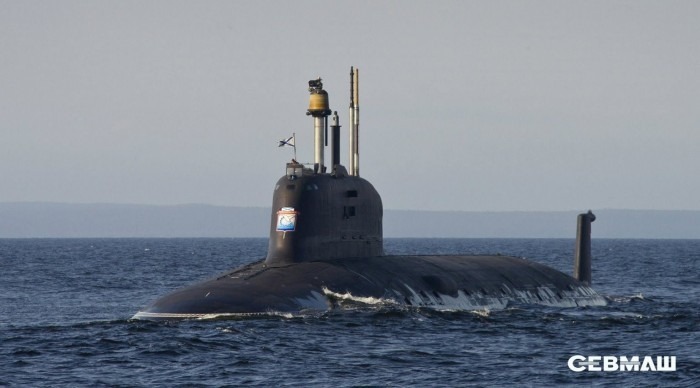 The Yasen nuclear submarine is one of the most secret projects of the Russian military-industrial complex: any shooting at the workshops of the Northern Machine-Building Enterprise, where ships are assembled, is strictly prohibited. And this is not surprising: Yasen (Ash tree) is called as the most advanced project of Russian military shipbuilding. For example, if in the newest submarine missile carriers of the fourth generation of the Borey type (Project 955) the new equipment is approximately 40%, then the submarine’s “Kazan” practically all systems, nodes and mechanisms have never been used before. The second Kazan vessel is already under construction under the modified project 885 M (which, in particular, completely excludes the delivery of equipment from outside Russia). Kazan was laid down in 2009. The third one – Novosibirsk – was laid down in July 2013, the fourth one (Krasnoyarsk) in the summer of 2014. In total, the fleet plans to buy seven Yasen class submarine up to 2020 . The strategic missile submarine of the project 955 (Borei), was developed at the Central Design Bureau of Marine Engineering “Rubin”. These vessels are already less than 5 years from now will become the basis of Russian strategic nuclear forces, replacing the old missile submatines of Soviet construction. In total, the Russian fleet paid for the construction of eight vessels this class until 2020. And, perhaps, this is not the last Borei. Nuclear vessels of Submerged displacement of about 24,000 tons carry 16 ballistic solid-fuel missiles R-30 Bulava with a detachable warhead. Submarines are also equipped with modern hydro-acoustic complex “Irtysh-Amfora”. 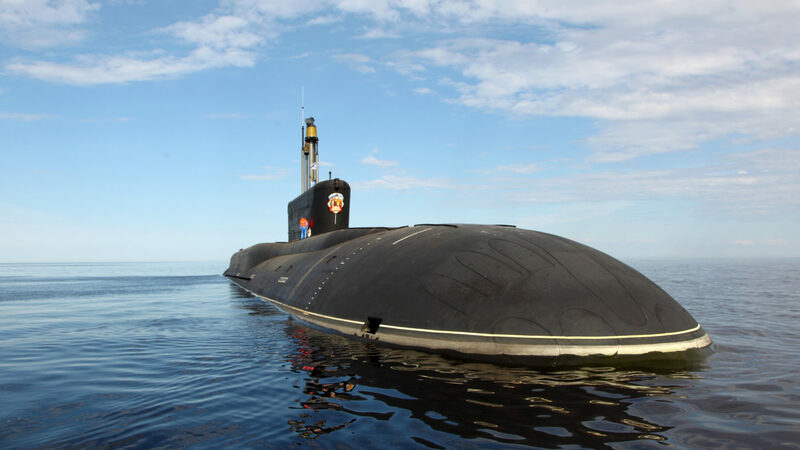 Construction on the first submarine started on March 19, 2006 in the shipyard of Sevmash in Severodvinsk with the participation of the commander-in-chief of the Russian Navy Vladimir Masorin. It’s construction is timed to the 100th anniversary of the Russian submarine fleet. The submarine was accepted into the Pacific Fleet on December 19. Other, Tech biggest nuclear submarine, borei class submarines, largest submarine in the world, list of active russian submarines, longest nuclear submarine, modern russian submarines, russian navy submarines, russian nuclear submarines, russian submarine fleet, russian submarine names, severodvinsk submarine, typhoon class submarines, yasen class submarines. permalink.